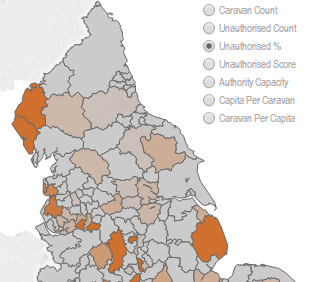 The UK Department for Communities and Local Government publishes a statistical count of the number of caravans on both authorised and unauthorised traveller sites across England. The count takes place every January and July and includes both ethnic Gypsies and Travellers and non-traditional travellers. This visual storyboard shows how this caravan count has changed over time, how it varies by season and the shift to private sites. 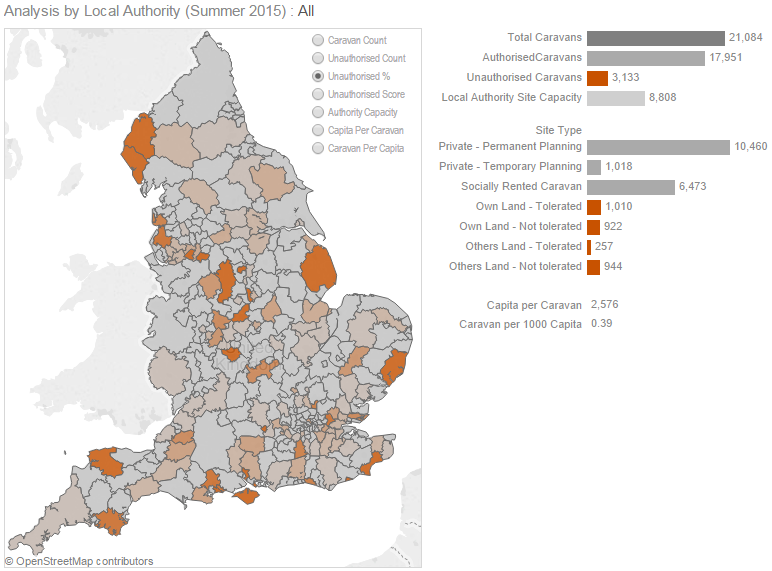 It also compares Local Authorities by caravan demand on authorised and unauthorised sites. Click an image to visit the interactive storyboard.